THE UK border police don’t always get it right. 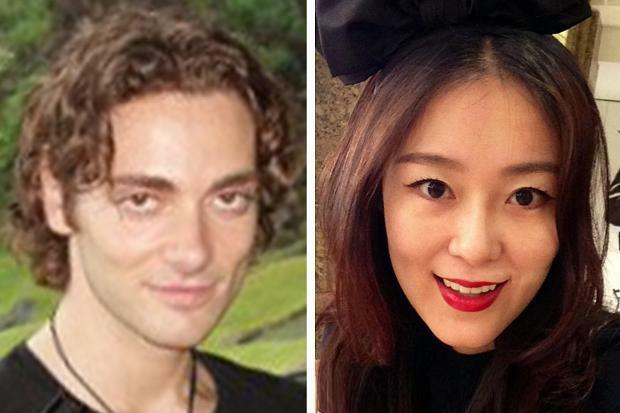 They raised Massimo Ciabattini and Miao Guo’s wedding at London’s Camden Town Hall. The Italian groom, his Chinese bride and two bridesmaids were seized and questioned in an impromptu game of Mr And Mrs. Camden Council had spotted the wedding and called him the Home Office to investigate. The aim is to catch the fakers red-handed. Interviewing people who plan to get married is worse. And how can you quiz people who are getting to know one another? Did you know he’d had an affair? That she used to be a man? That he’d been to prison? Romances will be ruined. Secrets spilled before the would-be spouse is ready to tell. Maybe the fakers can help[ the police by placing clues? To Hull, then, where the Mail reports on groom Abiola Kumoye, bride Portuguese-born Vania Pinheiro-Fernandes and best man Ayodeji Abbis. The Border Police went to work. THE best man and the organiser of a sham wedding in Hull have been jailed. Nigerian-born Abiola Kumoye and Ayodeji Abbis admitted their part in the elaborate plot to keep fellow Nigerian and University of Hull masters student Jayeola Abiola in the country. Hull Crown Court heard how Leicester University law student Abbis, 27, agreed on the morning of the wedding to be best man for £1,000, yet had never met the groom until they arrived at the Guildhall. Which was about an hour before the wedding. * Abbis was sentenced to eight months while Kumoye was jailed for 16 months.